TAG’s Level Up! workshop series brings you another Kitfox team member, programmer Jongwoo Kim, who will give an introduction to the wizardry of 2D game development in Unity on Thursday, February 26th. Unity is the most popular game engine in the world for its combination of power and flexibility. Whether you’re prototyping a crazy new game mechanic, or making a professional quality action-adventure game for Steam, Unity can help you create amazing interactive experiences. As of version 4.6, Unity includes a robust sprite system and a new UI system that makes 2D game development easier! However, its complexity can still be daunting for inexperienced users – doubly so if you’re not a fan of coding. This workshop is intended for anyone who wants to make a 2D game in Unity, while writing as few lines of code as possible. Creating key prefabs and components including a GameManager, a PlayerController and an EventTrigger that you can reuse for your personal projects. Bring a laptop with Unity 4.6 installed. Basic knowledge of scripting and C# syntax is recommended, but not required. You’ll be provided with art assets, but feel free to bring your own. JONGWOO KIM is a Co-Founder and the Gameplay Programmer at Kitfox Games. 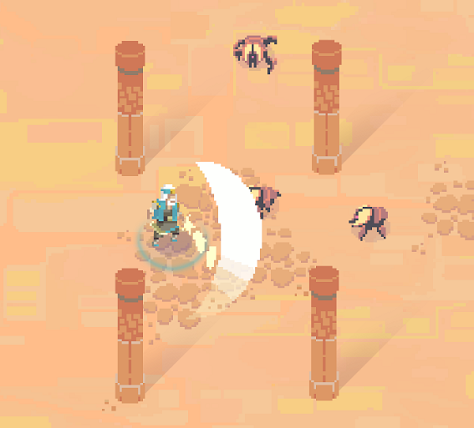 Currently, he is working on the combat system of Moon Hunters – a Kickstarted co-op Action-RPG, inspired by Secret of Mana and Zelda: Four Swords. Given his obsession with time travel, transhumanism and procedural narrative systems, Jongwoo is quite obviously a cyborg from a dystopian future.